The use of statistical and probabilistic ideas in forensic science is of increasing importance to the administration of justice. This is exemplified by their role in the evaluation and interpretation of trace evidence, such as glass, fibres and DNA. They allow the forensic scientist to evaluate and interpret evidence where there is an element of uncertainty. For many years, Statistics and the Evaluation of Evidence for Forensic Scientists has been considered the leading text in the statistical evaluation of forensic evidence. It is highly regarded amongst forensic scientists. This new edition is fully updated, covering many new topics of interest, and includes coverage of new fields of evidence. It features new examples concerned with up–to–date data sets, and a chapter on evidence evaluation using Bayesian nets. 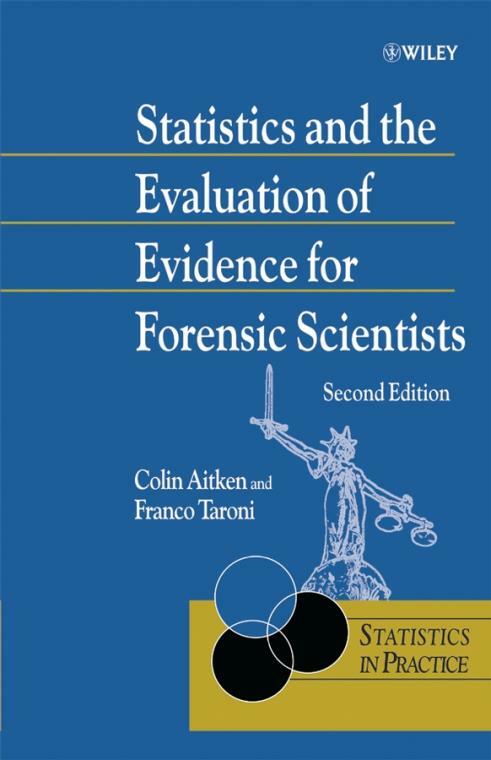 Provides a comprehensive introduction to the statistical evaluation of forensic evidence. Features new material on glass interpretation, fibres interpretation and Bayesian nets. Includes new material on the analysis of multi variate data, useful, for example, in problems involving elemental or chemical compositions. Illustrated throughout with examples using real up–to–date data. Assumes only a modest mathematical background. Includes a foreword by Dennis Lindley. The clarity of exposition makes this book ideal for all forensic scientists, lawyers and other professionals in related fields interested in the quantitative assessment and evaluation of forensic evidence. It is also suitable for graduate students studying courses in the statistical evaluation of evidence. Preface to the first edition.